Hall of the Mountain King: Review: Lazarus A.D., "The Onslaught"
Having grown up on the first wave of thrash in the 1980s, I've been largely underwhelmed by the offerings from the new thrash movement. In general, they get the speed and technicality right, but they miss those pesky little things like melody, hooks and originality. 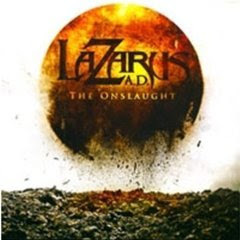 Enter Lazarus A.D. and the remixed and remastered version of their independent 2007 release "The Onslaught," which serves as their introduction on Metal Blade Records. This is one of the few records from the neo-thrash movement that will likely stay in my collection. You'll note the difference from the very beginning of the record with the catchy guitar riff that opens "Last Breath." Here's a band that truly learned something from the best that the thrash genre has to offer. You'll notice the slower more pronounced riffage of a band like Metallica in the early going before it morphs into something more in line with Exodus. 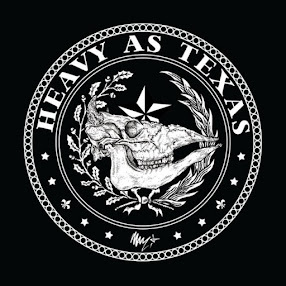 Fast and heavy, it definitely is, but like the bands of the 1980s, you can also hum the song from start to finish and it will stick with you. Likewise with the infectious main riff of the first single "Thou Shalt Not Fear," which features even more Exodus influence -- oddly the more recent version of the band with Rob Dukes on vocals. Lazarus A.D. is certainly not averse to the speed side of the equation, as you'll hear on the pounding opening of "Damnation for the Weak" or the second riff of "Forged in Blood," but it's never speed for speed's sake. Even at their fastest, the songs remain memorable and make an impact on the listener. Speed serves the song, not the other way around. As noted above, the primary influence here is Exodus, and those moments provide some of the high points of the record, like the catchy verse melody of "Who I Really Am." But there are plenty of nods to the other titans of the genre. You'll find some chunky Metallica-style riffs on songs like "Absolute Power," sprinklings of Slayer as in the "Reign in Blood"-ish opening of Rebirth, a little Anthrax-style riffing on "Revolution" and some Dave Mustaine-like lead breaks sprinkled throughout. All in all, it's a nice mix of styles that offers moments of recognition, but never sounds copycat. Bassist/vocalist Jeff Paulick has a nice thrash voice, somewhere between growling and singing. Thrash vocalists are often overlooked with the instruments being the focal point of the music, but that balance is a hard one to achieve and many singers over the years have come off sounding goofy in trying to pull it off. Musically, Lazarus A.D. delivers exactly what good thrash should. The guitar work of Dan Gapen and Alex Lackner is top-notch and drummer Ryan Shutler provides a solid backbone for their crunching riffs and soaring leads. It will be interesting to see where they go from here. They've already put themselves at the forefront of the movement because "The Onslaught" absolutely shreds anything released by most of their neo-thrash brethren.